A reminder – it’s still early enough in the year to make buying a 2014 calendar worthwhile. If you like insects (especially insects in Connecticut), please consider supporting the Connecticut Entomological Society by purchasing a calendar. All photos were taken by members, and voted upon in a photo contest. Each month comes with a caption including the species name and locality/date. Members may choose the “pick up” option to pick up their purchase(s) at a meeting, all others must choose the option that includes shipping (we take PayPal). The shop is here. If you make a purchase and indicate that you found the calendar via my blog, you might get an extra-special surprise! (I’ll be the one shipping them out). February 21st was the 509th meeting of the Connecticut Entomological Society. As yours truly is the president of the society this year, I have had the honor of choosing speakers and activities to keep the society humming along. We have monthly meetings throughout the academic year, culminating in a year-end banquet before we disperse for summer activities. It’s not easy to get people to gather for an entomology lecture on a Friday night, but we have had great turn-outs the last few meetings. Last month’s speaker deviated from our typical focus on living insects, and gave an inspiring talk. Dr. Susan Butts, senior collections manager of Invertebrates and Paleontology at the Peabody Museum (Yale), gave a talk about fossil insects and the Fossil Insect Collaborative-Digitization Project (like them on facebook!). She provided a great overview of insect fossil deposits from a variety of time periods, and had a bunch of Yale specimens for us to see in person. We all felt inspired to visit the collection (perhaps a field-trip in the near future? ), and to help with the project. 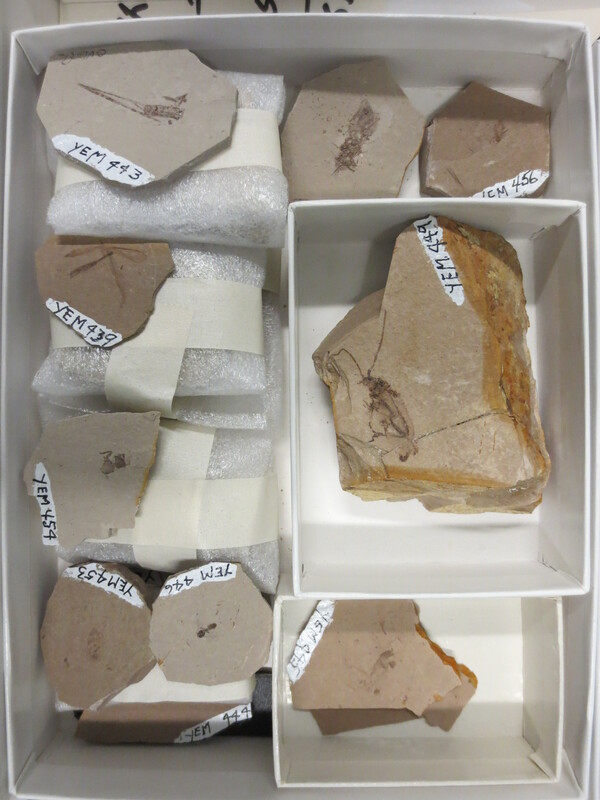 Since the Fossil Insect Collaborative-Digitization Project is examining so many fossils, they are in need of more entomologists to help with determinations. So if you check out their facebook page, you can check out the photos and provide your best guess. This project is also working with the iDigBio and iDigPaleo initiatives. 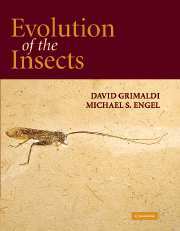 If you want to learn more about fossil insects and the evolution of insects, I cannot recommend this book enough. It’s of my favorites: Evolution of the Insects.